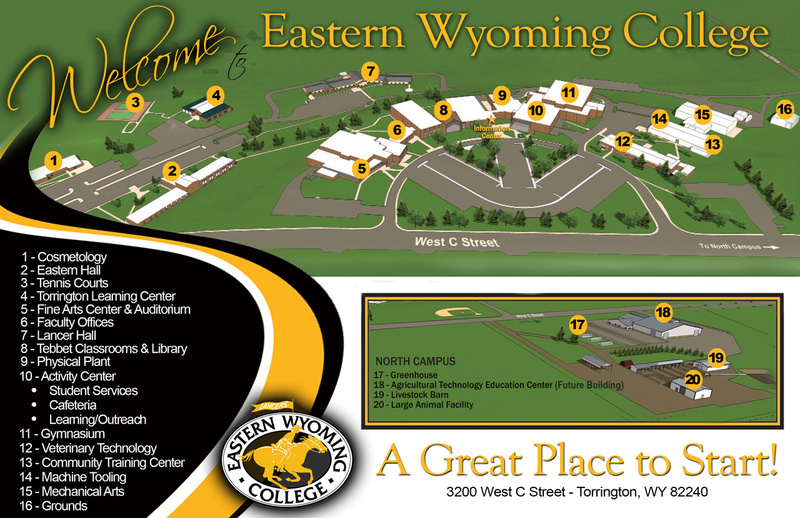 About Eastern Wyoming College - Eastern Wyoming College - It's A Great Decision! Founded in 1948 in Torrington, Wyoming, located in Goshen County, Eastern Wyoming College today serves almost 1937 students in credit courses and over 5912 students in non-credit activities. The College sponsors outreach programs in Converse, Crook, Niobrara, Platte, and Weston counties. Eastern Wyoming College will be an innovative learning environment for academic excellence and community enrichment that champions student success. Student success is our first priority; as a learning community we provide opportunities that enable students to achieve their goals and enrich our unique region through work, partnerships, and student achievement. Eastern Wyoming College envelops a culture respective of our diverse communities, learners, and society. Through active dialogue we engage in enriching the lives of our students, faculty, staff, and community by providing the safe and free exchange of ideas, knowledge, and perspective. Central to our mission is the dynamic understanding of diversity to include but not limited to: age, culture, ethnicity, gender, class, creed, orientation, and perspective. Diversity at EWC forms the foundation of our values, skills, and learning- culminating into the norms for how we build relationships, communicate, and resolve conflict. As an institution, we affirm the holistic understanding of diversity and endeavor to foster an environment for its growth, support, and future as it reveals who we are today and whom we will become tomorrow.